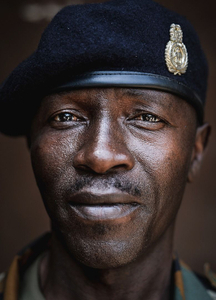 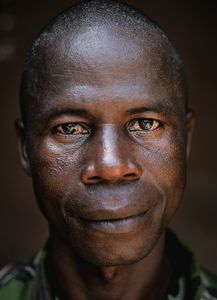 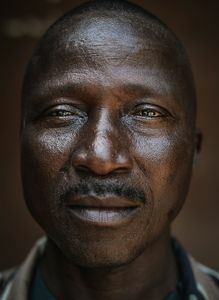 These portraits feature soldiers from the Republic of Sierra Leone Armed Forces (RSLAF) who are working with British forces and members of the public in the fight against Ebola. 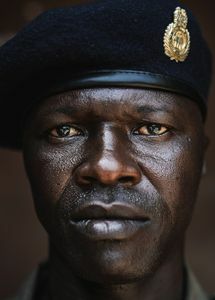 The soldiers are all from the same regiment and are all friends. 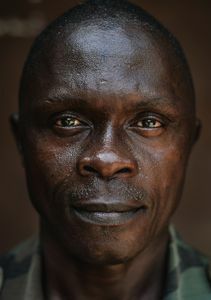 The portraits were taken at mid-day with the soldiers pushed back into the shade with the ambient light producing soft highlights on the face and giving a catchlight in the eyes. 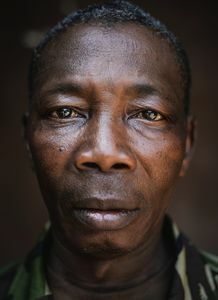 They were taken at a camp in Kono, Sierra Leone. 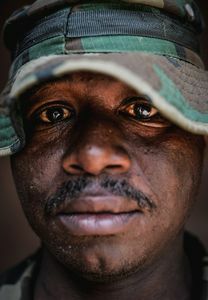 The country has been the center of attention for overseas aid since mid-2014 when an outbreak of Ebola started to spread across the country. 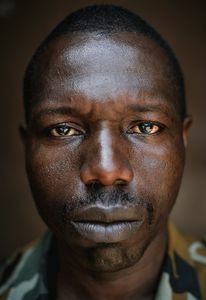 As a soldier myself, I instantly had a bond with these men that most other photographers simply would not have. 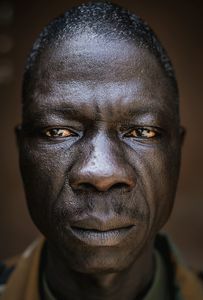 Many of these men have fought in the civil war and are veterans. 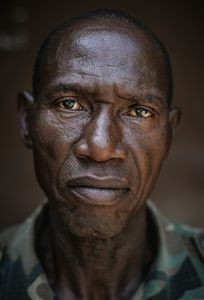 I wanted to capture this in my imagery and see the stories told through their eyes.